Here are a few ways you can help Dingeman at no extra cost to you! Amazon.com - Go to www.dingeman.net and click on the Amazon icon on the left side, then proceed to shop on Amazon as you would. A portion of your purchase will go directly to Dingeman. eScrip Online Mall - Register on eScrip.com, choose Dingeman FFC as your designated nonprofit organization, then access your favorite merchant’s website through escrip.com every time you shop online. 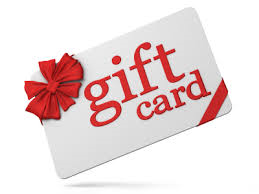 You do not need to enter your credit card info on eScrip site to participate. A portion of the money you spend will go to Dingeman. Cut and Save Box Tops and Labels for Education from various products you use around the house; ask relatives to save them for you too! Last year we made $2,700. So far this year we have raised $850. 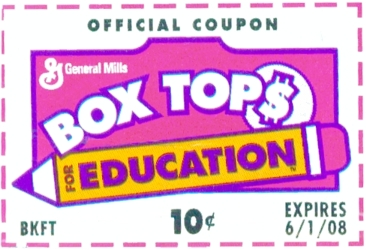 Check out http://www.boxtops4education.com/participating-products and http://www.labelsforeducation.com/Earn-Points/Participating-Products for participating products. Thank you for supporting the Dingeman FFC.